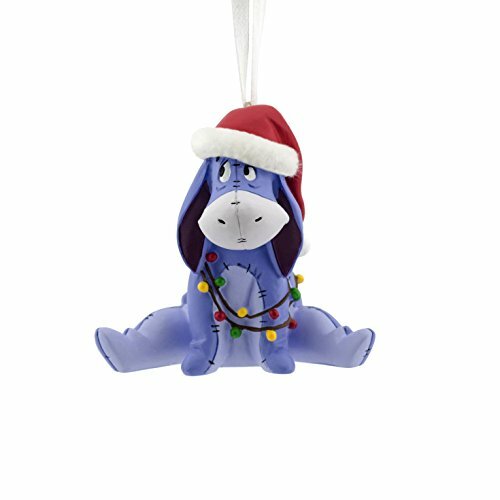 Pooh's gloomy pal can't stay blue for long when he's decked out in a Santa cap and tangled in a string of Christmas lights. Boxed Christmas tree ornament by Hallmark. Perfect gift for fans of Disney's Eeyore and Winnie the Pooh.